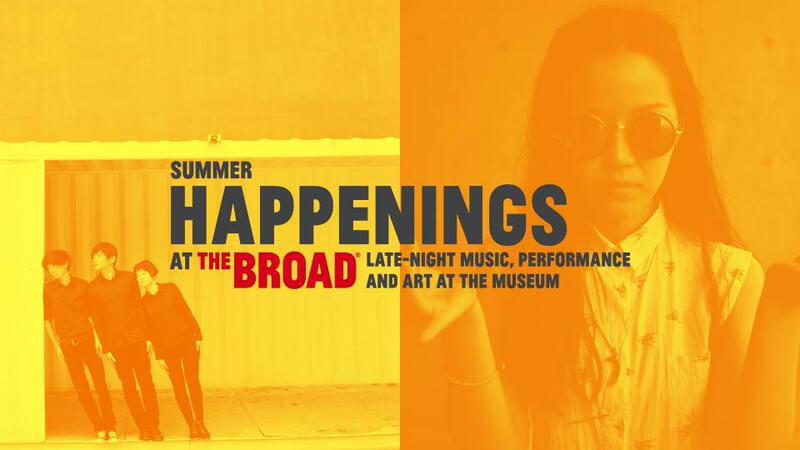 Now halfway through, this season of the Summer Happenings at The Broad continues with a 3rd event on August 25. The Greater Body (Shi-Dati) is filled with performance, music and film from China's most innovative contemporary artists, many never-before-seen in Los Angeles, as well as collaborations between Chinese and North American artists. Tickets are available now at thebroad.org/programs. The heart of the Chinese people is revealed through the rich and varied culture produced by its abundance of artists. 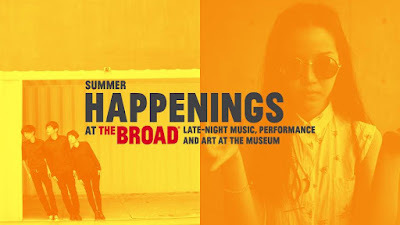 A constellation of musicians, composers, filmmakers and performers constitute the body of The Broad's third Summer Happening. The event will welcome artists from Beijing, Shanghai and Xi'an to the United States, many for the first time, who present a culturally unique perspective on the performing arts, film and music as part of an exciting evening that highlights two artistic trends in contemporary China: the appropriation of and homage to concepts, genres and movements in the Western popular cultural sphere; and experimentation in and re-examination of traditional Eastern artistic forms of dance, performance and music. This program was curated with the assistance of Modern Sky USAs Sijie Liu and composer, performer and curator Du Yun. The outdoor Plaza will feature a robust lineup of acts. Post-punk band Re-TROS (Rebuilding the Rights of Statues), pioneers in Beijings music scene who have built acclaim through the strength of their musical releases Cut Off!, Watch Out! Climate Has Changed and Before The Applause, performs on the East West Bank Stage. Chinese Canadian techno artist MIIIA pumps out her rave-inspired beats that countless club-goers have fallen for at gigs throughout Shanghai and mainland China, Russia, Indonesia, Korea, Japan and Europe. Daniel Collás, Juliet Swanbo (Phenomenal Handclap Band) and Jie Ma perform Collás's original score for the pipa (a traditional four-stringed Chinese musical instrument), contemporary keyboards and percussion, in accompaniment to director Zhou Hongbo's intimate and revealing documentary film, Lotus Ferry, about the eponymous district of Shanghai. Asian Dope Boys celebrate the euphoria and psychedelia of eastern religions, art, music and live dance in collaboration with singer and musician Aïsha Devi, who channels metaphysical research, ritualistic practice and healing frequencies into an alternate club environment. The Oculus Hall transforms into an underground Beijing punk club with back-to-back sets by FAZI, whose music draws on the minimal rhythms of Krautrock and the abrasive rituals of post-punk; Hell City, blending the melody and arrangement of the metal genre with three-chord punk; and Shave 'N' Shut, an oi punk band formed by the members of legendary Chinese punk band Misandao, as well as former members of Life ForDrinking, Gum Bleed, Point Blank and Unregenerate Blood. The 120,000-square-foot building features two floors of gallery space and is the headquarters of The Broad Art Foundations worldwide lending library, which has been loaning collection works to museums around the world since 1984. Since opening in September 2015, The Broad has welcomed more than two million visitors. Generous support is provided by Leading Partner East West Bank.